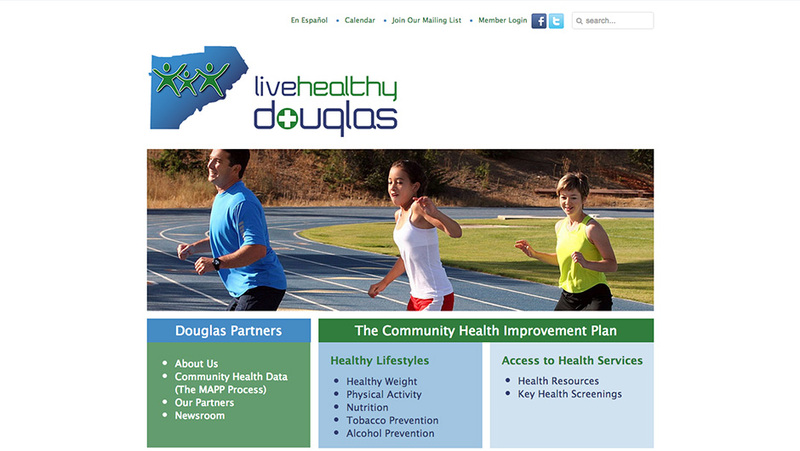 Live Healthy Douglas is a collaboration of community organizations and individuals dedicated to promoting healthy lifestyles and the delivery of essential health services in Douglas County, Georgia. The overall goal is to implement strategic changes throughout Douglas County over the next five years that build a foundation for reducing and preventing chronic disease such as diabetes, stroke, heart disease and cancer by promoting healthy lifestyles and better access to health and prevention services for the community. 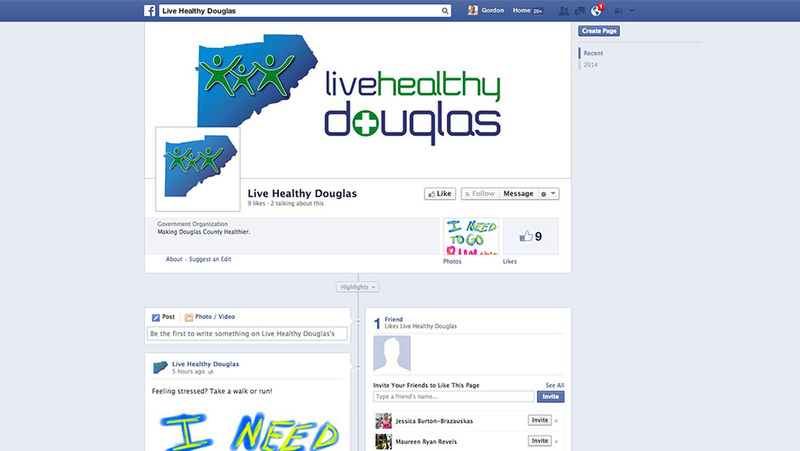 As part of the branding campaign, O’Neill Communications provided Live Healthy Douglas with an online presence. The firm, from start to finish, was responsible of the construction of an informative and interactive website combined with social media platforms to connect with the Douglas County community. Based on an assessment of the county’s health status and leading health issues, the website includes recommended action plans, weekly challenges, a robust calendar of community health events and other health-related resources. It also teaches people how to make simple changes to improve their health, the health of their families and the community’s overall health with easy suggestions for jumpstarting a healthy lifestyle including information on maintaining a healthy weight, physical activity, nutrition and tobacco prevention. In conjunction with the launch of the website, O’Neill Communications started a social media campaign with interactive Facebook and Twitter pages that provide more opportunities for Douglas County residents to receive health updates, become involved in the initiative and embrace a healthier Douglas County. 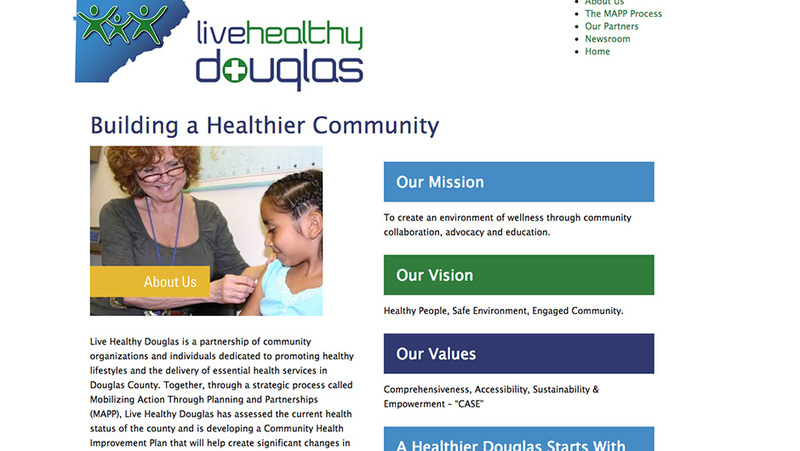 O’Neill Communications supervises, manages, and executes all communications needs for Live Healthy Douglas. We manage the website’s maintenance and website content such as graphics, written copy, photography and videography. Additionally, O’Neill writes and manages all of the social media campaigns through Facebook and Twitter. The firm also designs the print collateral such as banners, tablecloths, brochures and other promotional items for the organization and its outreach needs.